In 1987, Tinker Hatfield merged avant-garde design with NASA technology to bring the Air Max to life — three decades later, the groundbreaking athletic shoe has blossomed into an iconic symbol of street fashion. Inspired by the innovative and controversial “inside out” design of the Georges Pompidou Centre in Paris, the Air Max forever changed the game, reshaping the archetypes of contemporary footwear design. 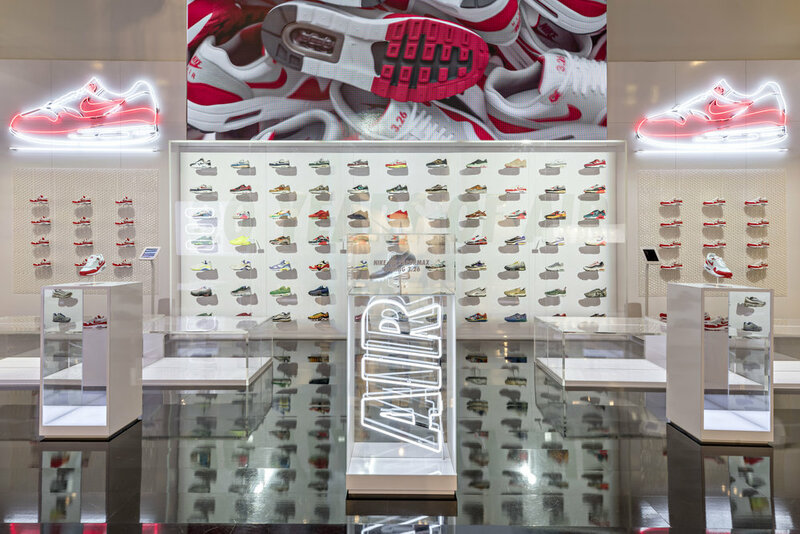 Born from the rich history and heritage surrounding the Air Max line, NikeTown NY’s series of celebratory installations were dynamic caches of sneaker lore; the first, an explosion of colors, shapes, and textures unmistakably tied to Hatfield’s iconic designs. Display cases adorning the walls functioned as both a time capsule and storybook, taking consumers on a neon-lit journey through decades of evolution and reinvention. Switching gears from the “history lesson” ethos of the first “Air Max Ultra” installation, the second and final “VaporMax” makeover gave rise to a polished, modern retail environment — a departure from the preceding design’s vintage aesthetic. 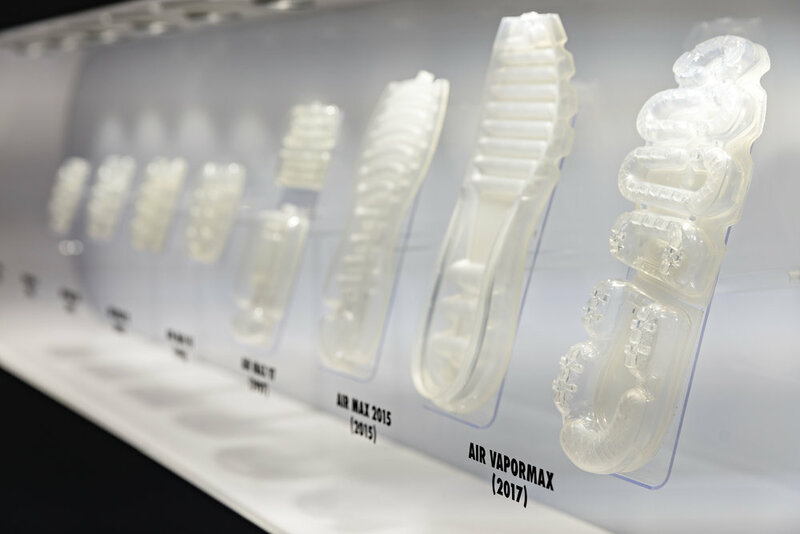 Assembled over the course of two days with a crew of 16 satis&fy specialists, the VaporMax installation echoed the Air Max line’s enduring, inventive spirit — embracing the elements of composition that forge the Air Max of today. Timeless, elegant, and always on the precipice of tomorrow.